Business Insurance | Advantage Insurance Inc.
We are a leading independent provider of turn-key captive management solutions to clients in the United States and worldwide. From offices in the Cayman Islands, Puerto Rico, Vermont, South Carolina and Arizona, our team of highly experienced captive insurance professionals manages captive insurance companies and strategies sponsored by companies in a diverse mix of industries. Our clients include physician groups, healthcare facility owners, transportation and logistics companies, manufacturing businesses and construction firms, among others. Distinct from other captive insurance management specialists, Advantage has the size and scale required to work successfully across multiple domiciles and the depth of experience necessary to support all types of captive insurance strategies. Above all, we value our reputation for integrity and the track record of success that we have built with our clients over the long term. Captive insurance sponsors turn to Advantage for a complete range of services related to considering, forming, managing and terminating a captive insurance program. Client engagements include traditional single-parent captives underwriting a limited number of risks to large risk retention groups (“RRGs”) with hundreds of members, to wholesale sponsors of protected cell captives focused on industries with complex risk financing and transfer needs. Advantage has on-staff accounting, structuring, regulatory, compliance and operational capabilities and we work with leading third-party providers of actuarial, claims, and investment management services. Advantage was an early adopter of segregated portfolio or “cell” structures for captive insurance applications. 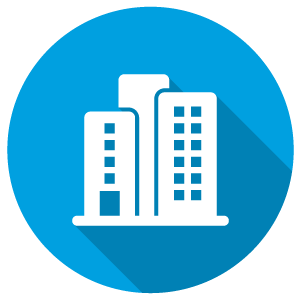 Advantage Property & Casualty Company SPC (“APCC”) was established in 2002 to offer individual cell structures on a “rent a captive” basis. Advantage also assisted a number of early-adopter clients with the initial setup of stand alone SPC companies for groups. Most SPC captives managed by Advantage today are domiciled in the Cayman Islands; South Carolina and Puerto Rico also support this type of structure. For professional insurance agents and risk managers, Advantage offers customized management services to complement their knowledge and capabilities. Sophisticated clients use Advantage to coordinate overall corporate management activity and to supplement the client’s own skills and resources. In particular, Advantage skillfully coordinates accounting, regulatory and compliance functions on behalf of large groups and agency-sponsored captives. Following passage of the U.S. Risk Retention Act of 1986, groups of skilled professionals and others holding liability risk have formed RRGs to access affordable, high-quality liability insurance. The utility of RRGs has been proven out over time and today Advantage manages large and small RRGs for numerous clients in a broad range of industries. Advantage is an expert in managing the reporting requirements of RRGs and the complex tax and accounting issues that can arise for both the RRGs and their individual members. With the increasing complexity of underlying liability risks and often conflicting state and federal regulation, Advantage recommends RRG solutions to a broad range of clients and potential clients, particularly those operating in multiple states. Advantage pioneered the use of captive insurance for life insurance applications. Advantage Life & Annuity Company SPC was one of the first protected cell life insurance companies at the time of its inception in 1999. Since then, Advantage has sponsored two additional protected cell life insurers for its own account, and manages “private label” companies on behalf of others. Private-label life insurance companies are particularly relevant for wealth management firms seeking to build their own brand identity in a crowded marketplace. Advantage’s team of insurance industry professionals offers consulting and advisory services to clients who require expertise and independence. Assignments range from feasibility studies for new captive structures to restructuring advice and rescue services for existing captives that are not performing as planned for their sponsors. Advantage specializes in the design and implementation of custom captive insurance solutions, working with other experts and independent service providers including actuaries, attorneys, accountants and claims managers – without the pressure to cross-sell insurance brokerage or other ancillary products or services. For single-parent captives and other structures requiring assumption of unaffiliated third-party risk, Advantage has developed a new solution that avoids the shortcomings of the risk pools typically available in the industry. Rather than sharing half of its risks in exchange for a blend of risks from other captives, today a captive can retain 100% of its own risk and supplement it with exposure to high quality traditional market risk. Advantage sources this professionally-underwritten risk from global insurance markets. By sourcing true third party risk for application to captive insurance needs, Advantage delivers the integrity and transparency required by captive sponsors, auditors, regulators and tax authorities.